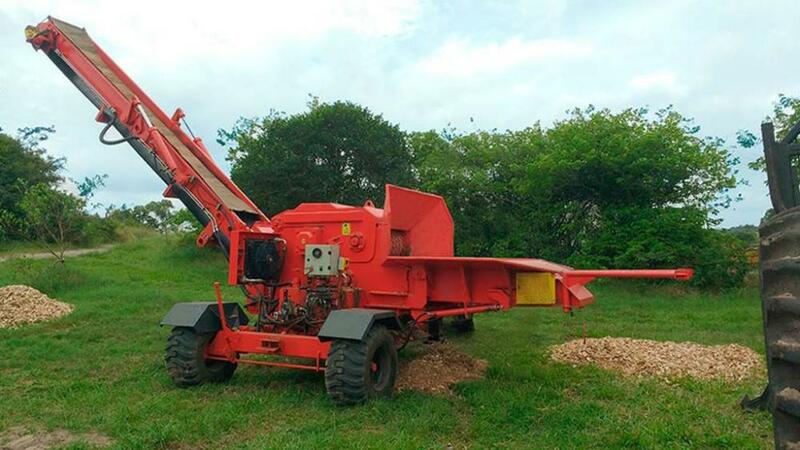 The wood Chipper RAPTOR 700 T is transversely mounted, on an exclusive chassis that facilitates the transportation for being compact, reduces labor, speeds up the chipping while maintaining the usage at its maximum. 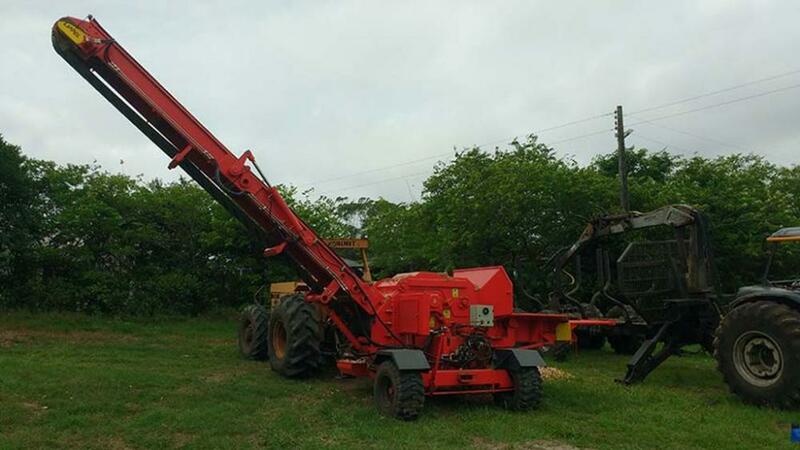 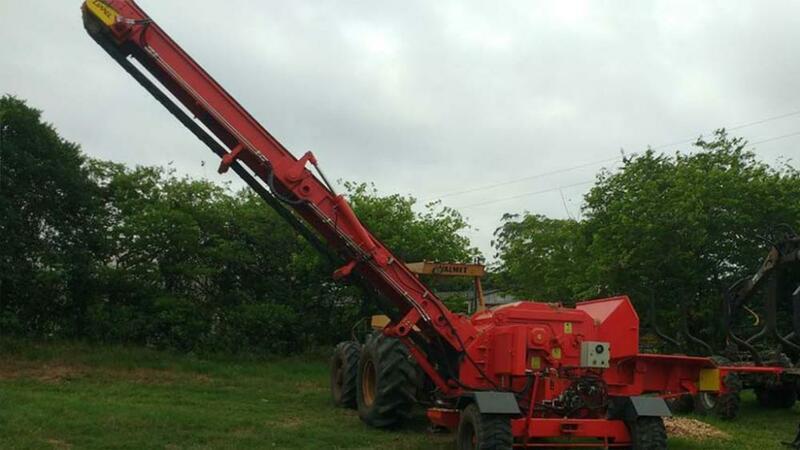 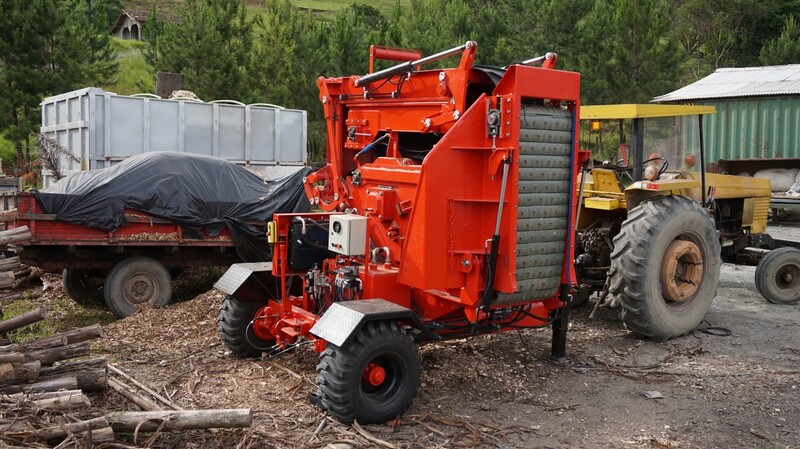 It uses the tractor’s power to transmit power to the chipper and meet the needs of wood chips production. 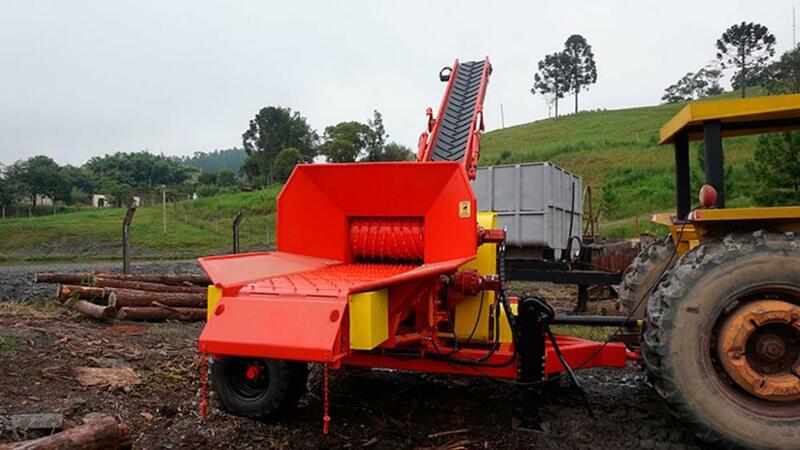 This set is highly versatile, economical and ensures optimum production. 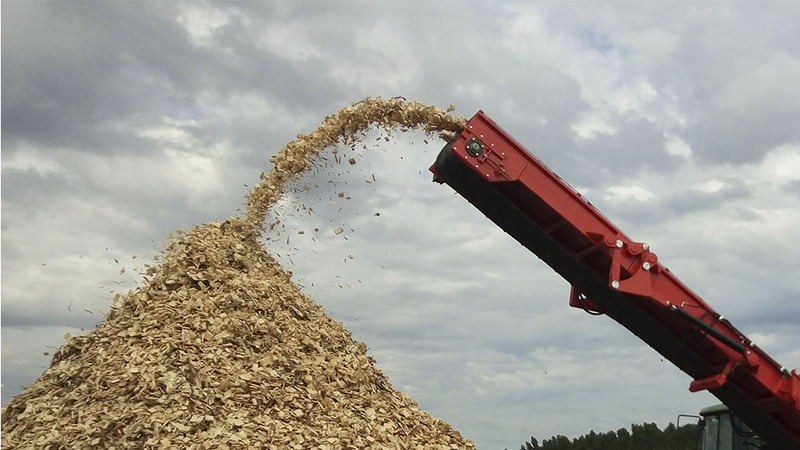 The new generation of drum reduces the need for power and increases the cutting capacity, resulting in higher performance with low fuel consumption. 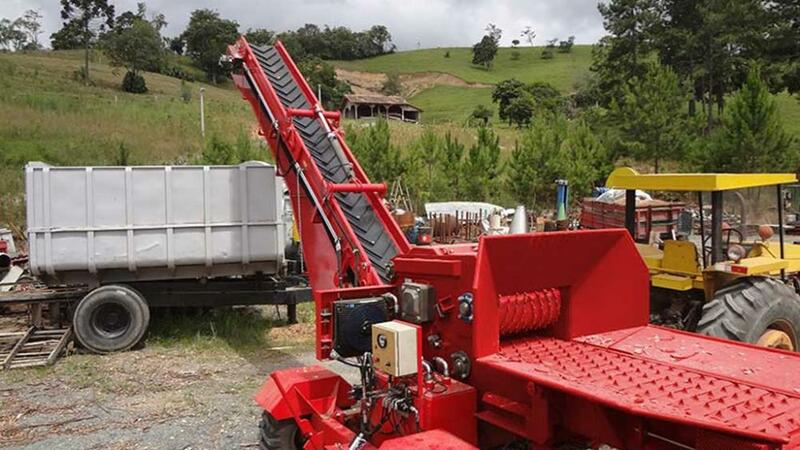 The hydraulic system has flow adjustment, allowing to vary the feed rate. 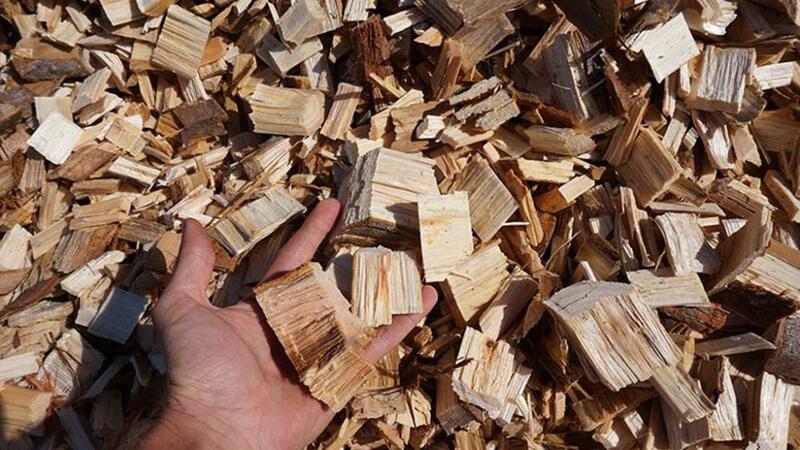 Linked to the drum of 4 or 8 knives, it can produce "micro woodchips" - large particle size chip. 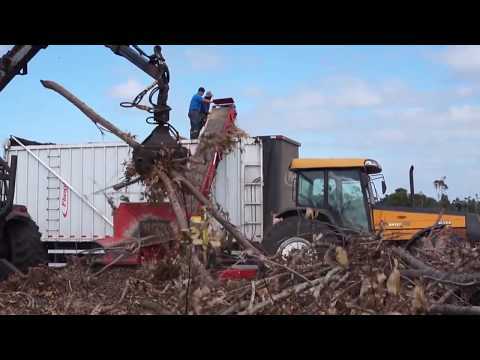 The chip extraction system works thru conveyor belt in chute, over 4.8 meters high. 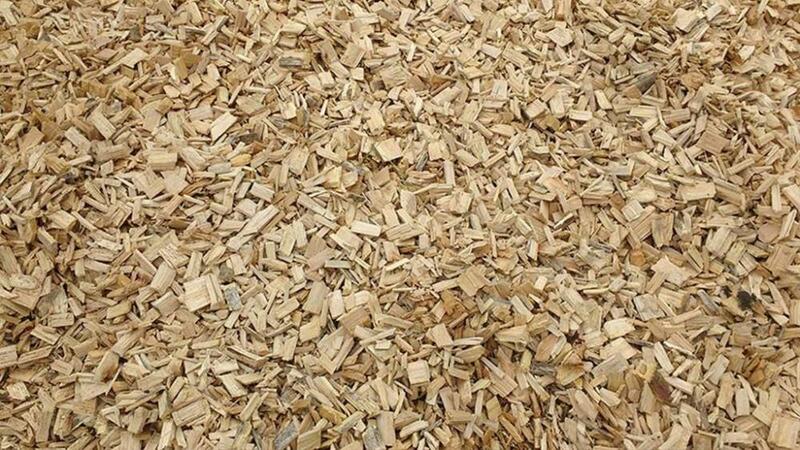 Solution for those who want to produce chips with larger particle size and minimum production of fines.